Whether you’re celebrating Valentine’s Day this year or not, it’s a great excuse to treat yourself to a whimsical bag emblazoned with hearts. Want a more affordable option? Kate Spade New York has a similar version and Rebecca Minkoff has a darling pink heart-shaped bag. 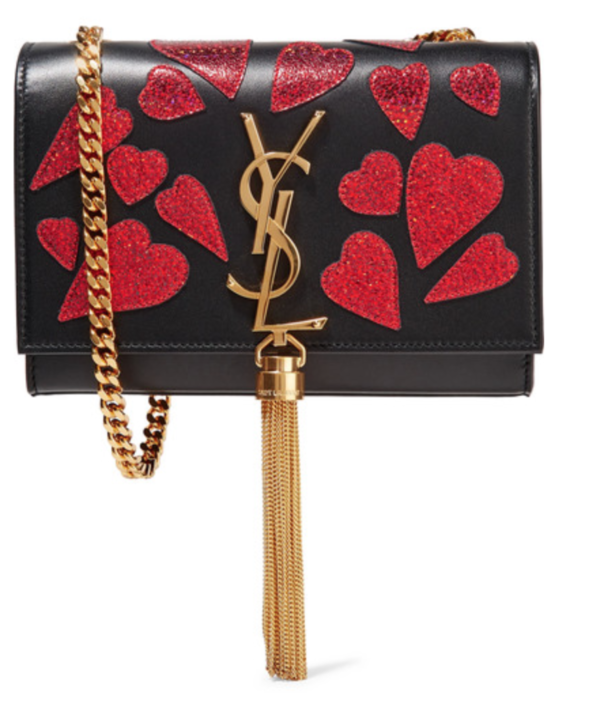 This bag is special, indulgent and by Saint Laurent — what’s not to love??! It’s just big enough to hold your real essentials — phone, lipstick, credit card — and will immediately dress-up your denim and sweater uniform during the day or your favorite LBD for going out. And, hearts are the perfect joyful embellishment at any time of the year, not just Valentine’s Day.